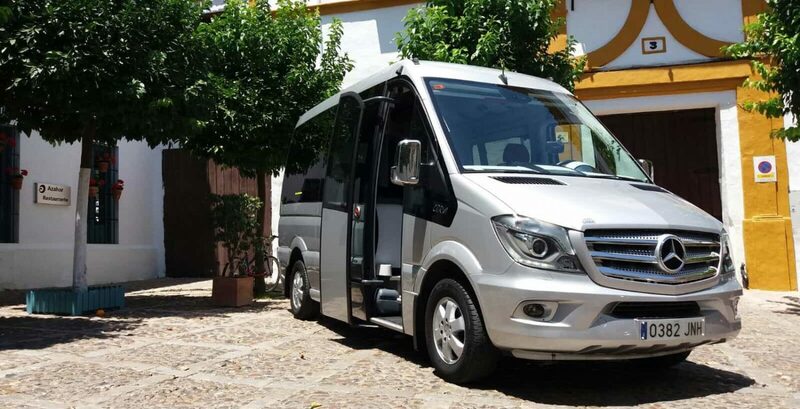 Whether you are looking to book a Malaga or Gibraltar Airport Transfer, a simple Restaurant Transfer to one of the Costa del Sol’s many excellent venues, or a more complex Golf, Wedding or Corporate booking, it couldn’t be easier with Simply Shuttles. We have a slightly different booking procedure depending of the type of service required. The guidelines below are just that, a guide, to help you understand what to expect and point you in the right direction. Find below what best fits the service you require and we look forward to hearing from you. Booking a Airport Transfer online with Simply Shuttles couldn’t be easier. Our quote and booking form has been designed to make the process as quick and simple as possible. Bookings can be made in three straight forward steps, outlined below. Alternatively you can always request a quote or confirm a booking by email but please remember to include your full name and mobile number, dates of travel, flight numbers, passenger numbers (including babies or children) plus the name or address of your accommodation. Go the appropriate page; Malaga Airport transfers or Gibraltar Airport transfers. (If you’re unsure about some of your travel details, flight number, name of the hotel, baby seat details, etc… you can click ‘Provisional Booking’. Just enter the details you know and be sure to provide the correct dates of travel, we will then get in touch by email to help you finalise your booking). Once you have submitted your booking request you will be sent a copy of this request. This is not a booking confirmation, we will manually review the booking details and send the booking confirmation, usually within 1 to 2 office hours. If your collection is within 24 hours please also call the office on +34 951 279 117. Local or restaurant transfer booking can be made by email or if you already have an existing booking, by phone (+34 951 279 117) within office hours. Although it is always better to make reservations in advance we can often accommodate bookings for shorter local services at short notice. However please note that we cannot guarantee availability of short notice bookings (bookings within 24 hours) so it is aways recommended to book in advance. To give you an accurate price for your required service we will need to know your hotel or accommodation address, where you wish to go and the total passenger numbers. If you have already made a booking for another service it is always helpful if you can quote the booking reference (or identify the booking is some way). We can then easily identify you, your contact details, collection location and passenger numbers and required baby and child seats to streamline the booking process. We would then add your new trips to the existing booking to make life easier for you by keeping all your transfer information in one place. Every golf booking is a little different and thats why we insist that all golf transfer bookings are made by email. In order to send you an accurate quote we will need to know your arrival airport, hotel or accommodation address, golf courses and total passenger numbers. Once we have all your details we will issue a full booking itinerary that details all the particulars of your trip for your reference throughout your holiday. With transfer bookings for Weddings, Corporate events, Deluxe or Dedicated services there are no two bookings alike. For this reason we always suggest that we start with an email outlining your requirements and any special requests. For here we would reply in writing with our suggestions and a quotation, at times this would be followed up by a phone call to discuss the finer points or to explain our reasoning behind particular suggestions. Once we have finalised the itinerary and the proposal has been accepted we would move to the confirmation. With bookings that involve multiple groups arriving or departing at various times or with separate activities it can become a devils own job to keep track of everyone! In situations such as this we would issue a spreadsheet to accompany the booking confirmation detailing the all the passengers and collections so everyone is accounted for. This also becomes invaluable if last minute adjustments are required and means that we can react quickly and correctly. Andalusia is a very large place and so you can imagine the various sightseeing tours available. Therefore is important that you email us your itinerary with as much detail as possible in order that we can send a quotation. Other than the general info such as dates and passenger numbers, details should always include the destination/s, the planned length of your visit, and if you will need the driver ‘on call’ during your visit. Also if you have tour guides booked it can be helpful if we can contact them to discuss the itinerary if you are unclear of the details. Alternatively if you are planning longer service, to Madrid, Valencia or Portugal for example. Send us the collection and delivery locations and we can calculate the costs. Once the quote has been agreed we will issue the booking confirmation for you to check. If you’re unsure about how to proceed with a booking or simply looking for some advise or information please don’t hesitate to contact us. Drop us an email on info@simply-shuttles.com or call +34 951 279 117. Our team is here to help and to make your booking as straight forward as possible.